Note that the CNSA AGM this year will be held at the “IP” tournament July 20th. June 16th: London Shuffleboard Club Mingle/Singles. Silverwoods Arena, 50 Sycamore St. London, Ontario. Click HERE for more info. July 14th: London Shuffleboard Club Mingle/Singles. Silverwoods Arena, 50 Sycamore St. London, Ontario. Click HERE for more info. July 20th to July 24th: The 2015 Interprovincial Tournament (IP) will be held in Goderich Ontario. This is a CNSA (Canadian National Shuffleboard Association) event, hosted by the Ontario Shuffleboard Association. It will be a team event. More info -> Invitation .The due date to apply to play on an Ontario team closed February 20, 2013. Location: Lind Sportsplex, 425 Water Street South, St. Marys, Ontario. How do I apply to represent Ontario? Hello Lois – I’m sorry for the late reply, as you comment went unnoticed until now (my fault). Our interprovincial and national events are always in the summer, and applications to to play representing Ontario or Canadal are usually posted on the Ontario Shuffleboard Asociation (OSA) and Canacian National SHuffleboard Association websites in January or February of the year oif the event. To stay up-to-daye you may “Follow” the news by going to either or both websites and clicking on the “Follow” button. Is there any information about Nobel on this site? Hotels etc. 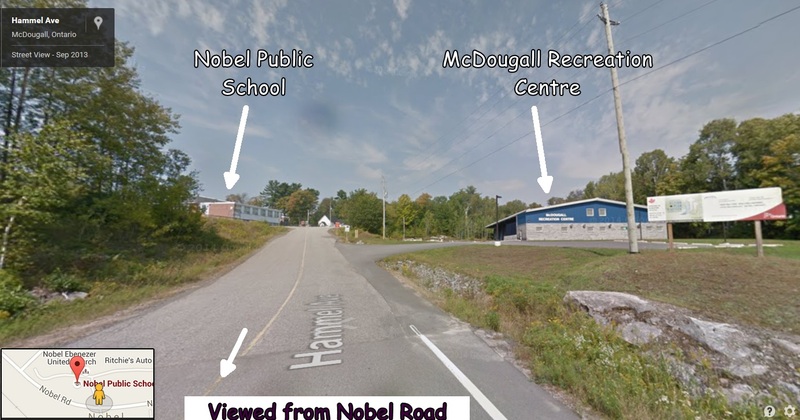 Nobel is almost a village about 10 minutes north of Parry Sound. The McDougall Recreation Centre is in Nobel. The nearest motels/hotels are in Parry Sound. Microtel is where I stayed for the past two years – good and many shufflers stay there. Parry Sound is a great place – lots to see and do – beautiful sunsets (from the “Salt Dock”. There are also some pretty good places to eat!